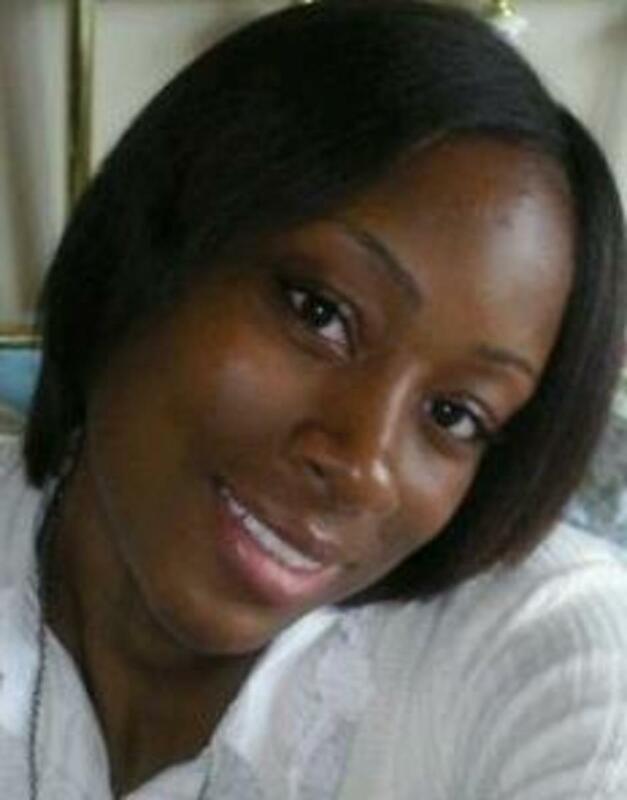 Angelica is a Floridian with an interest in natural hair care. Do you have short or damaged afro-textured hair? Are you interested in learning how to care for your hair? This article will give you the basic hair care education that you need to grow long, healthy hair, despite the many misconceptions about Black hair. One of the most common myths about afro-textured hair is that it cannot grow, but it can. It has been proven that with the proper hair care regimen, education, and a little patience, Black hair can grow. Curly, coily hair that is rounded and voluminous in its natural state. When someone cuts off their chemically straightened hair and allows their natural hair to grow without chemical-straightners. Cleansing hair with conditioner instead of shampoo to maintain moisture. A neccessary product for moisturizing hair. 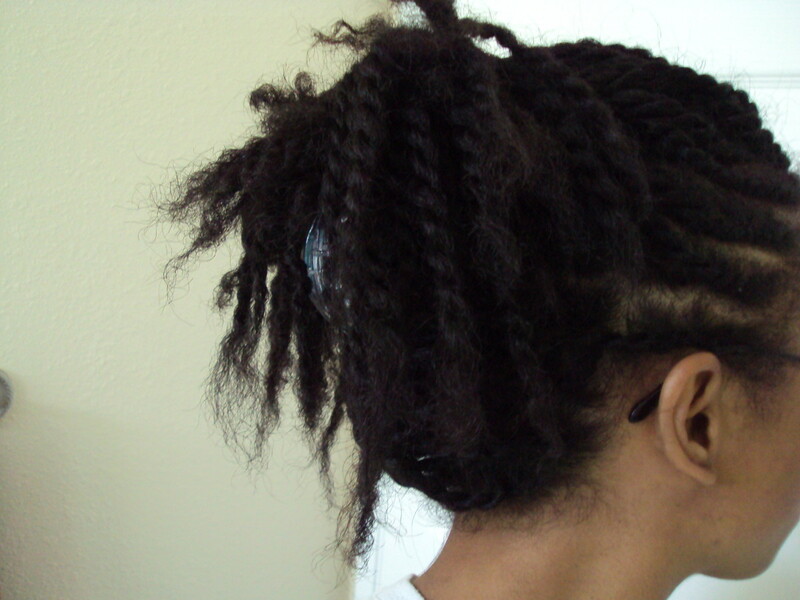 A style where hair is braided very closely to the scalp in an underhand motion to create a raised row. A more intense moisturizing process. Hair porosity refers to your hair's ability to absorb and retain moisture. High porosity hair will absorb moisture easily and fairly quickly. Low porosity hair will not absorb moisture easily. Low porosity hair will benefit from deep conditioning with heat. Placing hair in a high, loose style that resembles a pineapple. This style stretches hair and maintains certain styles. Coating the hair with a nourishing oil or conditioner prior to shampooing. Utilizing a low maintanence and low-manipulation hair style that enables hair to grow or recover from harsh treatments, climates, and styling practices. A chemical mixture that straightens hair when applied. Relaxer treatments are permanent, and the only way to remove relaxer is to cut relaxed hair and grow out new hair. Sealing or locking moisture into hair with an oil, cream, or butter. Manually conditioning and defining individual strands of hair. When a person is growing out their natural hair and preparing to eventually cut their chemically straightened hair. These terms refer to various aspects of styling, care, and maintenance for Black hair. One of the first steps to growing healthy Black hair is maintaining its cleanliness and ensuring that it’s properly conditioned. There is a misconception that afro-textured hair does not need to be washed often, but that is a myth. How often you should wash your hair is contingent on your hair needs. If you have naturally oily hair, you may need to wash it more often than you would if your hair is prone to dryness. Washing your hair regularly is a critical part of your hair growth journey because water is a vital moisturizer. Regular washing imparts moisture, and it will also prevent dirt and excess oils from blocking moisture absorption. 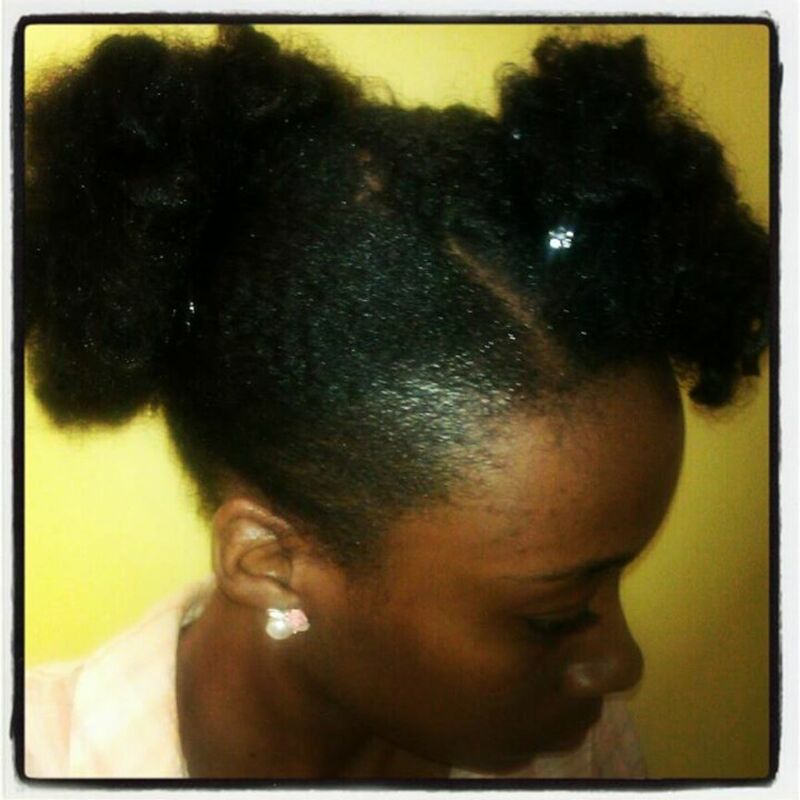 When the hair is deprived of moisture, it may become brittle, which can lead to breakage. What Is a Moisturizing Shampoo? A moisturizing shampoo is gentle enough to use on a daily basis, once a week, or twice a week—the choice is yours. It gives the hair a thorough cleanse while simultaneously moisturizing the hair and promoting hair health and manageability. It doesn’t severely strip your hair of its natural oils. A clarifying shampoo is harsh on the hair, and it will strip hair of its natural oils. Your hair will feel extremely dry after you use a clarifying shampoo. It’s a hair product that you should only use once a month to remove buildup from the styling products and oils you use on a daily basis. Conditioning Black hair is just as important as washing your hair. Some experts say that it’s best to condition your hair before you shampoo so that you can rinse it out afterward. It is believed that if you condition your hair after you wash it, it may be difficult to rinse all the conditioner out, and it will weigh your hair down. Either way, you must condition your hair to replenish the moisture that shampoos tend to strip away. Some people may feel as though using a leave-in conditioner is a bit of a hassle, and they opt to skip this step, but experts believe that using a leave-in is important. Adding a leave-in conditioner after washing and conditioning your hair should be a part of your regimen for growing your hair because doing so has several benefits. The best leave-in hair conditioner will add extra moisture, protein, and nutrients that your hair needs, and it will condition your hair throughout the day. If you have split ends, which can be caused for a number of reasons, and you don’t cut them off, they can damage your hair. Split ends will eventually snap off on their own, but the process of breaking can weaken your hair and lead to thinning strands. Don’t go overboard when dusting. Some hair experts may suggest cutting off an inch of hair every time you dust, but if you’re trying to grow long hair, it wouldn’t be wise to do that because you will not see any growth. Hair should be deep-conditioned once per week or as often as needed. The purpose of deep conditioning is to maintain the health of your hair and keep it strong. After the first month of deep conditioning your hair religiously, you will notice a change. Your hair will be a lot healthier, thicker, and fuller. Part your hair into four, six, or eight sections to prepare it for the application. Untie a section of your hair and apply the deep conditioner treatment on your hair from root to tip. Do this to each section of your hair. Once you have distributed the deep conditioning cream, let it sit in your hair for at least thirty minutes. The longer you leave the deep conditioning cream in your hair, the better the results will be. You can also sit under a dryer for better results. Typically, using a hooded dryer while deep conditioning will be helpful for people with low porosity hair. If your hair is high porosity, it won't need heat to help it absorb the conditioner. After conditioning your hair for a significant amount of time, rinse it out and apply a leave-in conditioner. Applying heat to your hair is a popular way to achieve straight hair, but regularly applying heat to hair may cause damage that cannot be reversed. Using less heat will prevent this from happening. Look for heat-free styling options and utilize low heat settings when you do apply heat to your hair. Try wearing low-manipulation, heat-free, protective styles periodically to give your hair a break. Moisturizing and sealing your hair on a daily basis is necessary to adequately meet the hydration needs of your hair. Without this two-step process, it can lead to split ends, breakage, or thinning of the hair. How to Moisturize and Seal African-American Hair? Part your hair into four, six, or eight sections. You can use bobby pins or hair ties to keep each section separate. Untie a section of your hair and thoroughly apply the moisturizer. Afterward, take a hair oil and apply it on top of the moisturizer to seal in the moisture. Make sure to use a dime-size amount of both the moisturizer and the oil. If your hair is wet after you moisturize and seal your hair, then that is an indication that you have applied too much of either product. Applying the right amount will help your hair maintain its volume and bounce. There are tons of things that can damage your hair and its fragile ends. The ends are the oldest part of your hair and they will need extra attention and protection. One false move and they're liable to snap off. Wear protective styles to reduce the risk of breakage and be mindful of your hair when you're asleep. Ensure that your pillowcase and sheets will not create friction and cause breakage. Wearing a silk or satin bonnet or scarf will take care of this problem. Some people may want to use a bandana or a head covering that's made of cotton fabric while they are sleeping, but cotton materials can cause breakage or damage too. Satin is the best fabric to use to maintain healthy hair because it will not cause breakage. The reason the aforementioned hairstyles are considered protective is due to the fact that they protect your hair from everything that may damage it, such as harsh materials, styling, climate-related risks, manipulation, etc. An updo is a great protective style! Even if you add moisture to your hair on a daily basis or as often as needed, your hair can still become dry throughout the week. Therefore, it is vital to co-wash your hair to ensure that moisture is locked in. Co-washing is the practice of using a cleansing conditioner to wash your hair. Now that Black hair care has become more prominent in mainstream culture, there are usually several co-washing products available at a variety of stores. Years ago, people had to purchase a conditioner in order to co-wash their tresses or they would have to order co-washing products from special stores, but nowadays co-washing products can be found in most stores that sell hair products. Most of the co-washing product labels will say that they're for natural hair, but you can also use co-washes on chemically processed hair. Okay, you don’t necessarily have to stay away from relaxers, but you should know that they will damage your hair, and they can cause hair loss if you apply them too often. Because of the risk of damage, many people have abandoned the use of relaxers. 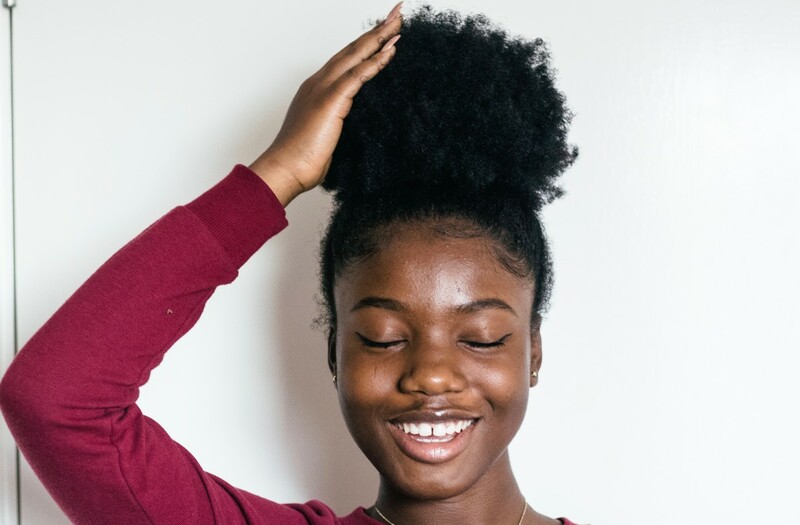 The popularity of the natural hair movement has encouraged Black people to sport their natural hair without using chemicals to alter its texture. If you do decide to relax your hair, experts suggest that you should only relax it every eight weeks. Keep in mind that using chemicals every two months will be very hard on your hair. Black hair usually grows half an inch per month, and having a small amount of hair to work with can lead to over-processing. When the hair is over-processed, there is nothing you can do to restore its vitality and health other than cut it off and wait till it grows back. 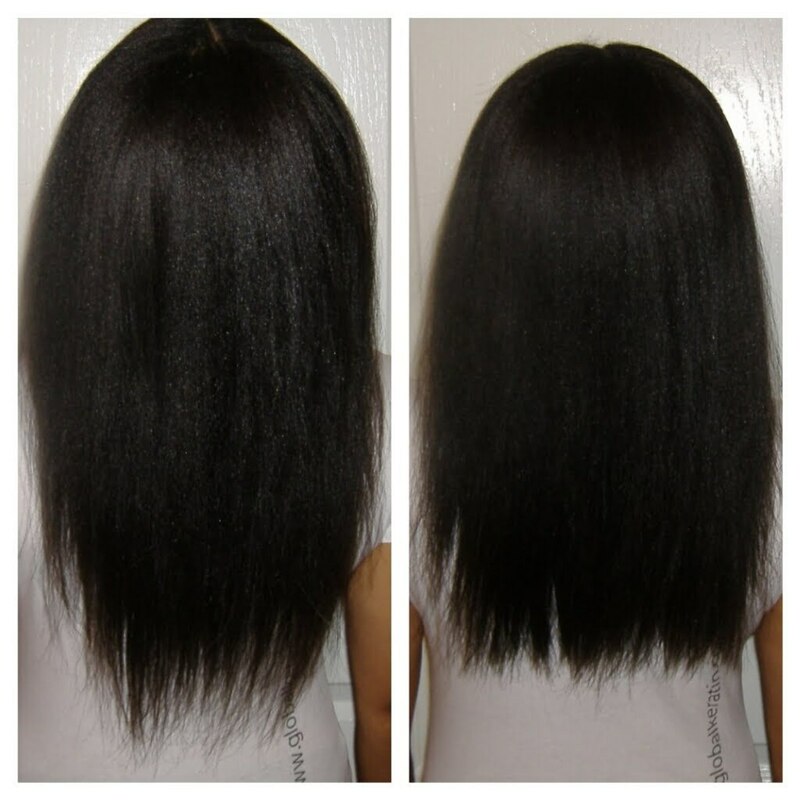 In order to prevent setbacks on your hair growth journey, use relaxers less often or don't use them at all. 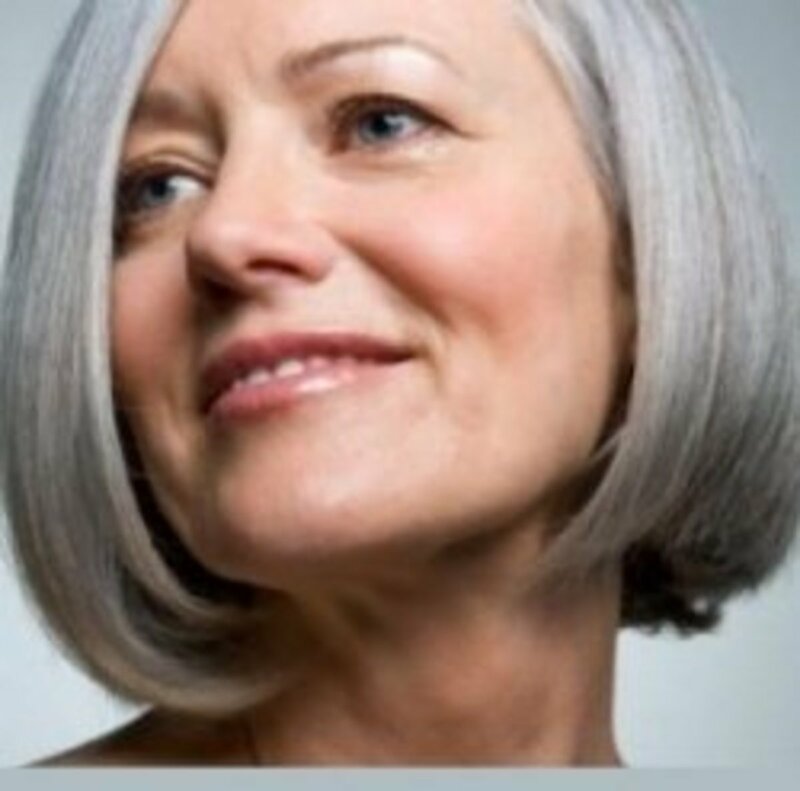 Some women relax their hair once or twice per year. This approach may be difficult to deal with because you will have two textures on your head at the same time. You will have to care for and style your chemically straightened ends and your natural-textured roots. Some relaxers come with anti-reversion serums that preserve your hair's appearance between relaxer applications. These serums enable people to wait a longer period of time between relaxer touch-ups. Even though there are lots of at-home, DIY relaxer kits, it is best to have a professional do your applications because it is almost impossible to apply a relaxer by yourself without putting it on hair that has already been processed. Knowing your hair's type and porosity will enable you to make better hair care choices. While hair-typing is not an exact science, it can help people determine what kind of hair they have and how to care for it. This article covers the basics of hair-typing. Typical hair-typing splits hair into three groups, and each group has three levels of curl variation. Hair that is loosely wavy. Hair that is slightly more wavy throughout. Hair that is extremely wavy, but only slightly curly throughout. Hair that is entirely loosely curled. Hair that has obviously defined curls throughout. Hair that is entirely curly. The curls will usually be well-defined and full of body. Hair is more prone to appearing as defined, coarse coils rather than as curls. Hair coils will be coarse, wiry, and less-defined. Hair will be coily, wiry, and dense. Follow these tips and conduct research regarding your specific needs to grow healthy hair. I'm been having a problem with shedding. IS there anyhting I can do about that? My stylist bleach my hair / over process which damaged my hair until my jair begin to fall out. How to grow fast? Help! I want results today! I’m attending an event tomorrow and I need my hair to grow at least 5 inches tonight! Please help!! Thank yo so much for this great information. I am wearing my hair nature and your article has been so helpfu. I will be using some of your tips. God bless. Need help maintaining my locs. 10 year old locs are drying and also breaking on the ends. 1. I'm not patient enough and i think the one thing I've done right for my hair should allow it to at least grow 5 inches ( i know unrealistic). 2. i hated seeing the split ends which is a result #1. Sorry for so much ranting. But this HELP ME alot. Very lovely article. I used to have very very damaged hair, receded hairline from breakage. I tried all kinds of products in my hair and still my hair was not growing. Until my friend recommended an hair growth product by HJorganic, and my hair has completely grown back thick and long. I also don't use heat on my hair and I only relax my hair twice a year. I totally recommend it for people trying to grow out their hair. Goodluck! Hello I was wondering can you wash your hair every 2 weeks with the box braids in are would I have to take them out to get all the hair washed ?? Sitting under a hooded dryer with a cap is not damaging to your hair. You want to avoid direct heat, diffused heat for purposes of deep conditioning or partially drying hair is not bad for your hair. If you have a hooded or bonnet dryer use that in conjunction with your deep conditioner especially if you have low porosity hair. Great hub, so very informative. My girl friend has has like the first picture and she always complain about her beautiful hair. It's naturally curly with no chemicals. She's been thinking of cutting it and adding a relaxer to it. Well, she won't be able to wear a long pony tail then, lol. Be Blessed until we meet again. Thank you so much for this information. I am a licenses stylish and I have my teaching degree for Cosmetology. I enjoy receiving as much information that people has to offer. Thank you so much. Hey, Jasmine although we have these hair care products the best thing we can also do to help our hair is to have a proper diet. A diet also helps in the growth of anything in our body. Be easy and gentle on the hair. Hair do get stressed out also. Do not comb when wet. And when doing protective styles do not pull on your edges. Your edges probably came out because your trying to achieve a look ( specific type of look). Please try to please yourself and not any one. Your hair is your beauty, so take care of it!! Hello I am from Los Angeles , I am about to Start my hair journey . I thought I had chop all my hair off but this article was a big help .just need to take care of my hair especially because it was relaxed . I haven't been to a salon in almost 11 years and my hair is down my back. I take pride in my hair though. Being natural if that is what your trying to do it is a process and you will need to be consistent. Even the tips above will help. I suggest that you should chop off all damage hair and have a fresh start. It will be a journey but you will be pleased. I live in Harlem in NYC. I have very damaged short hair and I would like to know if anyone knows of a good salon that truly cares for your hair and knows how to bring back healthy hair. There are many salons who will take me on as a customer but not really care about the health of my hair and work with me on a plan to protect my hair.